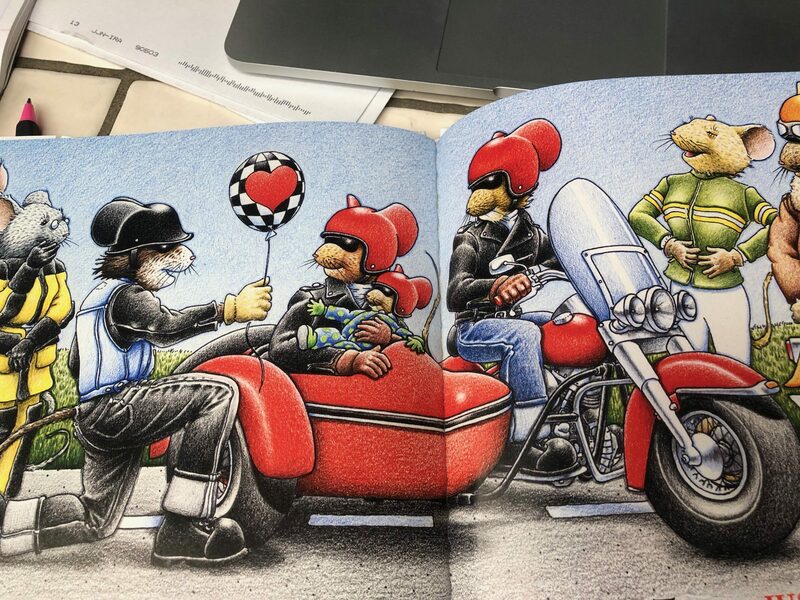 When I was a kid I remember reading The Mouse and the Motorcycle by Beverly Cleary. I had no idea that future me would love riding motorcycles, or that one day my own kids would also be riding bikes. Now as an adult I have had the chance to travel in multiple countries and ride a lot of miles with my kids in a sidecar as we adventure around. 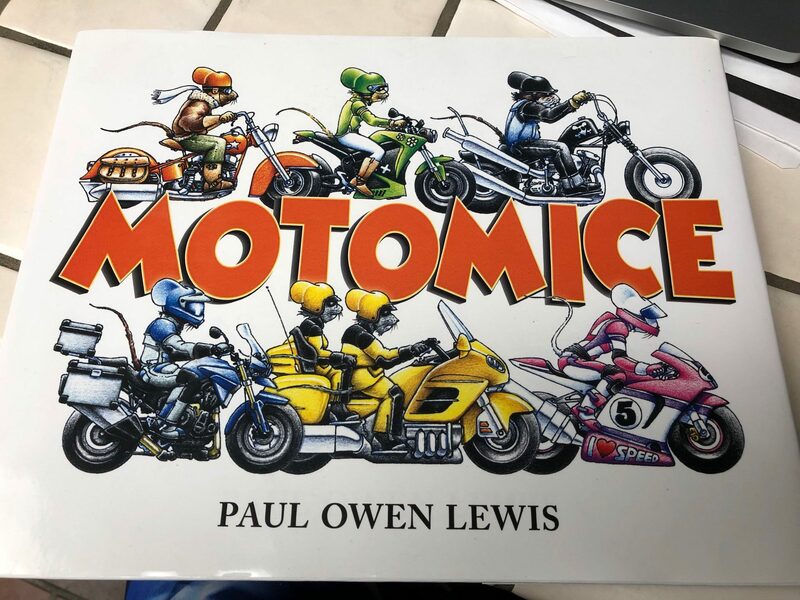 So, I was more than excited to get a copy of MotoMice by Paul Owen Lewis. It was great to see another book about motorcycling. I love the art work and the detail in every illustration. My kids really enjoyed it, and have read it many times, even though they are a little older than the intended audience. This would make a great book for story time with young children under age 8. 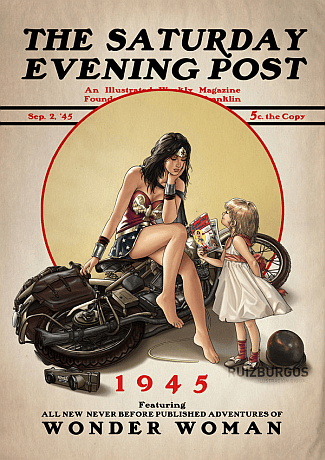 The story introduces us to a variety of characters and their bikes. 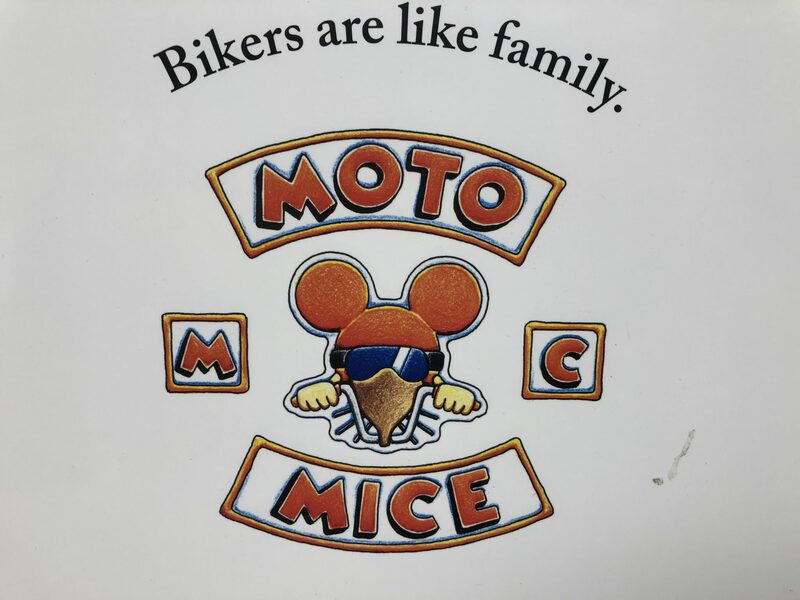 I think we all know the real life versions of the Moto Mice family. We have met some amazing people on our vacations that bear some uncanny resemblances to the Moto Mice! Plus I have to admit I was more than tickled by the sidecar in the book. I had the opportunity to speak with Paul Owen Lewis, and we had a fun conversation about my sidecar and the adventures my kids have gone on. I really love this simple story of how even though we all ride different motorcycles, we are all part of one big family. Christmas is coming up and I think this will make a great gift for all the biker babies and future riders in your family. Merry Christmas from my family to yours.